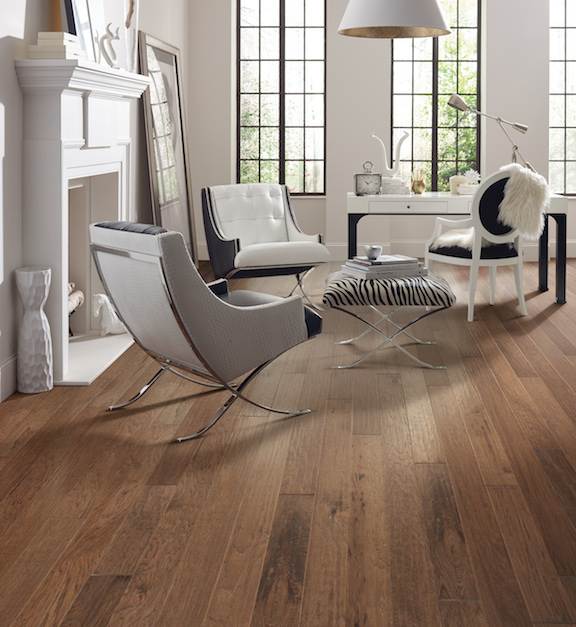 The first consideration should always be how your new floor makes you feel and how it makes your home look. 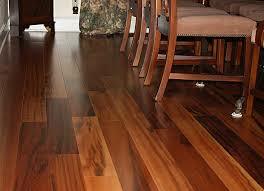 However, a close second criteria for hardwood are the performance features you’ll need. You’re going to want to protect your investment and the best way to do that is by choosing a floor that can stand up to the unique challenges of your home and the space you’ve selected. Remember, hardwood floors scratch, they can stain, they react to water and moisture, they can fade in direct sunlight and some species are harder than others – all of these factors can affect their performance in your home. The money you spend on enhanced, high-performances wear layers is well worth it. This is also where factory finished floors really show their stuff - in the wear layer. Simply put, site applied finishes cannot match those applied in the dust-free and controlled environment you'll find in a hardwood flooring factory. Yes, a few coats of urethane will protect the natural hardwood underneath, but it won't outlast a light-cured, factory-finished floor. Then again, if it’s a custom floor you want, site finished is often the best choice. Finishes also come in a variety of gloss levels from elegant smooth, high-gloss finishes for a more formal look, to modern looking matte finishes, to the more traditional varnish and oil finishes. It all comes down to your personal preferences. Besides the unique look each species of wood offers, some are harder than others. That allows them to stand up to high traffic better. 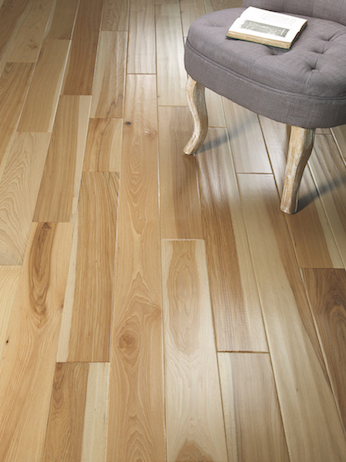 Several manufacturers offer similar styles in a variety of hardwood species so there’s lots to choose from. 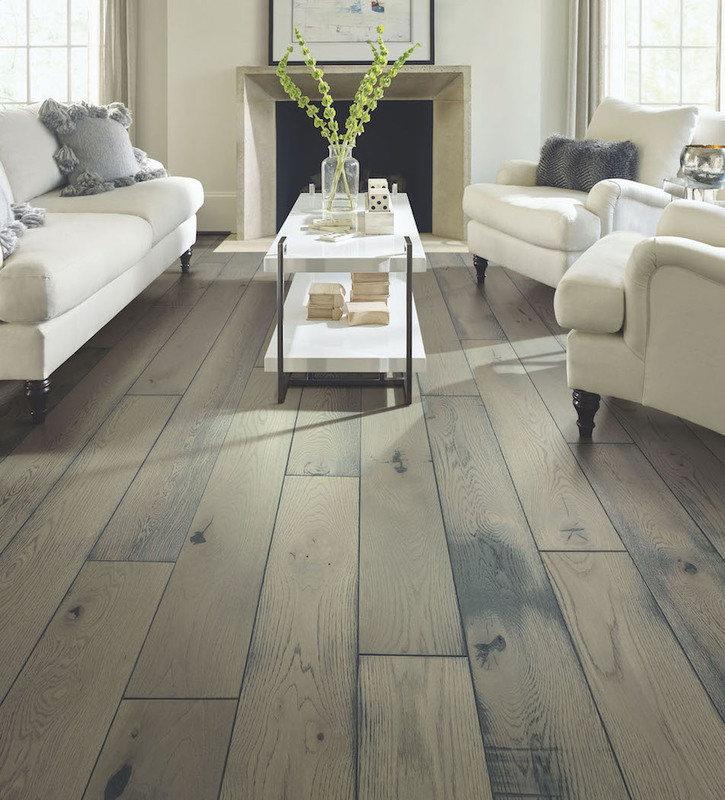 Most people think of solid wood when it comes to flooring and that’s always a great choice. But new engineered products offer advantages such as generally lower prices, enhanced dimensional stability and most can be used below grade. The average sale of hardwood flooring is $3,000 but you can easily expect to pay anywhere from $5,000 for a refinished floor to tens of thousands for a custom designed, site-finished floor (although not all site-finished floors are that expensive).